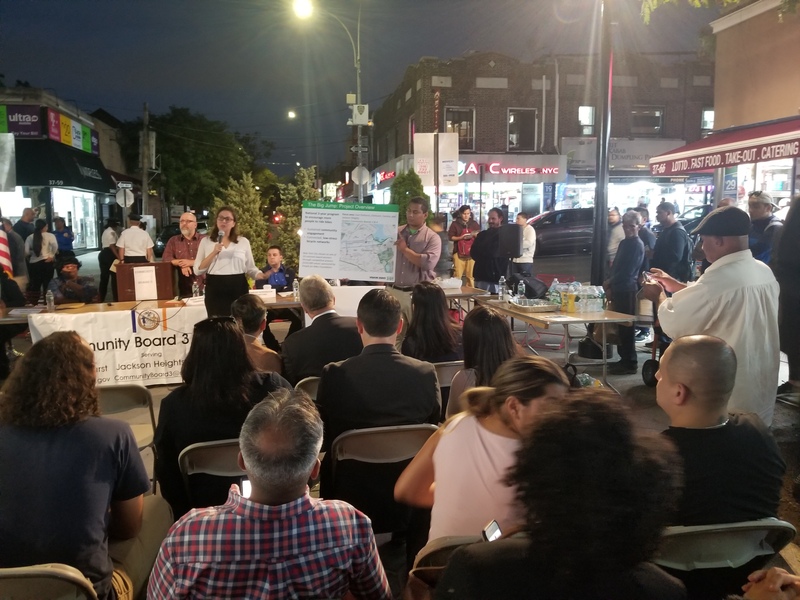 NYC DOT presented at Queens Community Board 3 full board meeting on Thursday, September 20th at Diversity Plaza. The meeting drew a large crowd to the newly renovated DOT plaza in Jackson Heights. 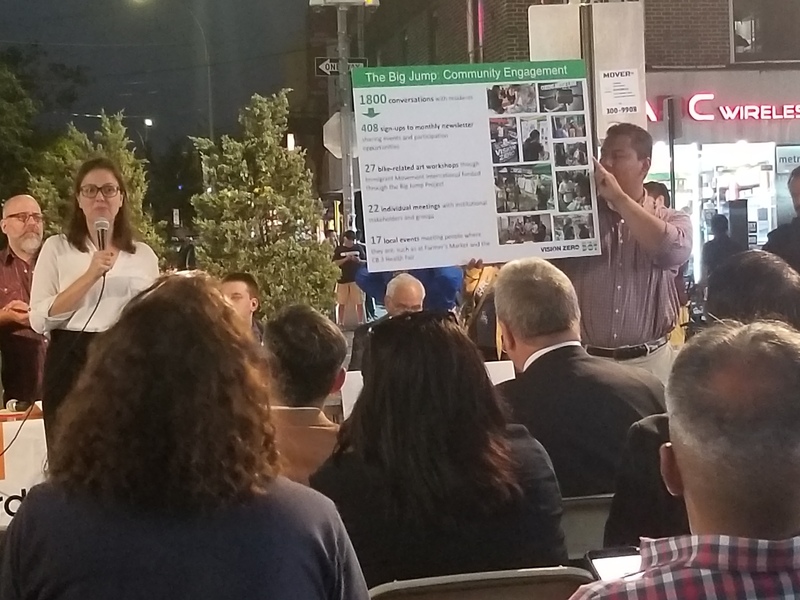 We shared our engagement efforts to date in Corona, Elmhurst, Jackson Heights, and East Elmhurst as part of the Big Jump. Since spring 2017, DOT has engaged over 2300 people in our catchment area! We shared an invitation to our next Community Advisory Committee meeting where we will provide project updates and discuss next steps with community members and partners.